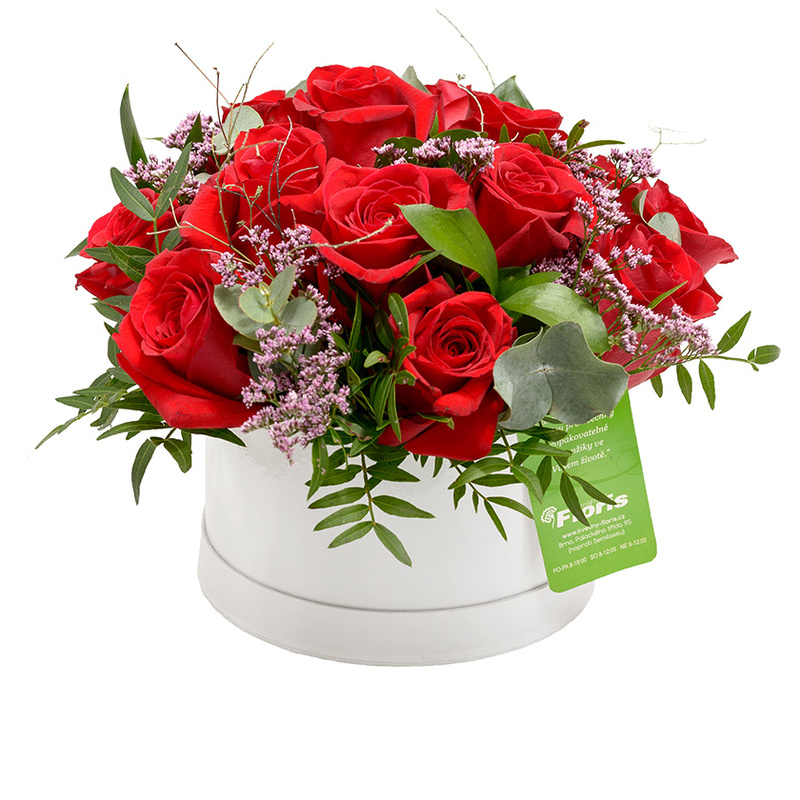 Flower box of roses (15 pcs) supplemented by a modern foliage and tiny flowers. We make this “flower box” in different colors, the original design is red rose. The arrangement includes a lid for future use of the box. If possible, store the flowers in a cool place to extend their life. Ensure that the fruits is not within reach of the flowers (released ethylene speeds up the flowering process). Provide sufficient water to the flowers.